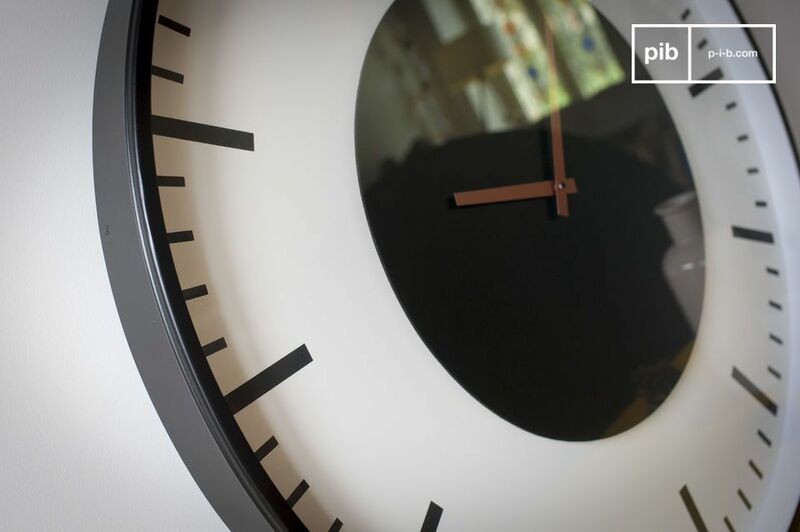 With its large diameter of 75 centimeters and its sleek, monochrome design, the Amsterdam station clock will satisfy your decorative needs. 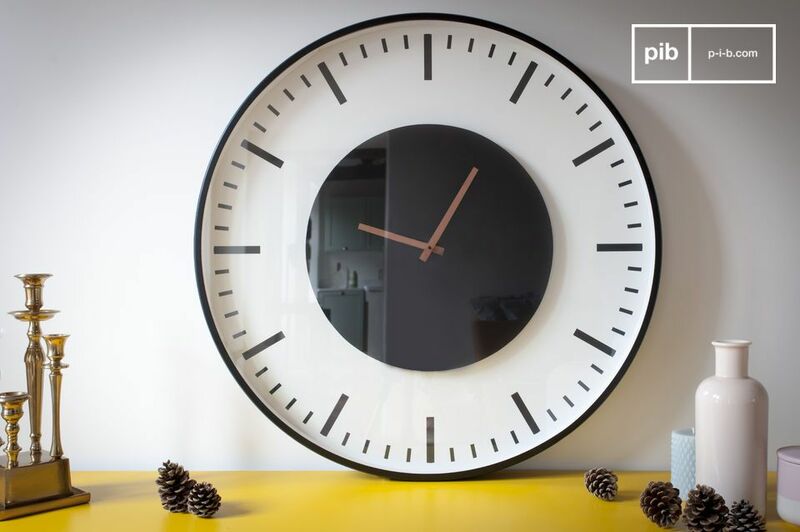 Combining round and rectangular shapes, this large clock is a very graphic decorative object that will dress a large section of wall. 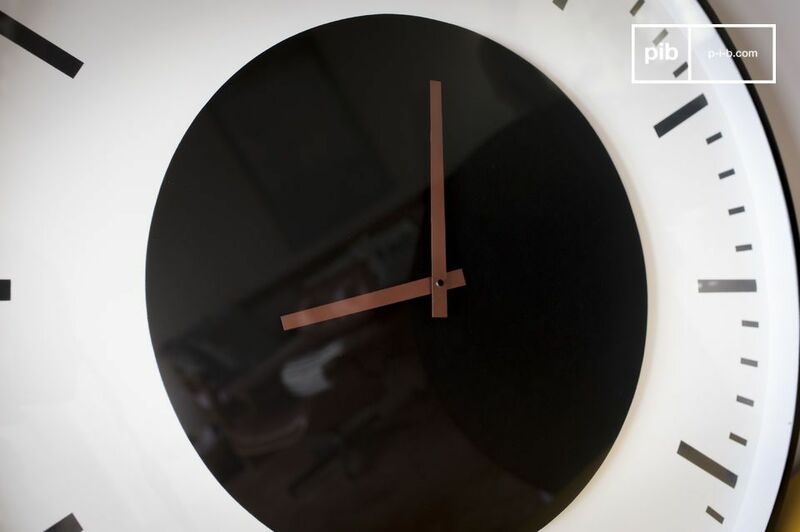 This retro clock is made of painted metal and glass. 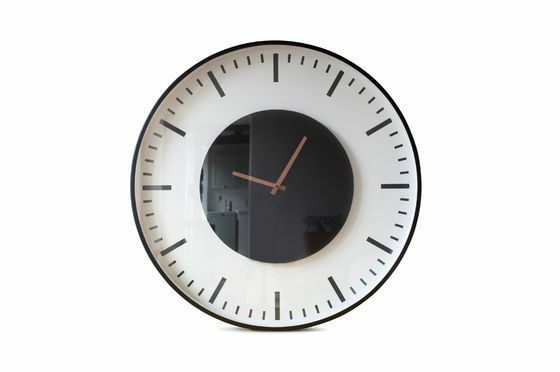 Its quartz movement is battery operated (not included).